I’m going to let you in on a little secret. I have wanted a Ford Explorer since 1997. Prior to that, the only similar vehicles I had ever driven were the GMC Jimmy and, its Chevy sibling, the Blazer. Those GM products were my introduction to the SUV, and I was hooked! I felt like I was driving a cool, sporty truck, though I had all the cargo benefits of driving a station wagon. When I would fly places and the airport rental car agency would offer me a Jimmy or Blazer, I would gladly accept. I admit I didn’t like a few things about these SUVs, though: the turning radius and how loud they were. Turning into perpendicular spaces became three point turns, and trying to hear backseat passengers speaking to me while I was driving was a challenge. But they were nice overall. I was happy to show one of those rental vehicles to my friend, Rick. What I didn’t know at the time was that Rick had a Ford Explorer. After admiring my brand new rental wheels, Rick toured me through his Explorer. I was in awe again. Rick was demonstrating to me all the benefits I showed him, and every item I had in the Jimmy/Blazer con list was a pro in the Explorer. The turning radius was great, and the vehicle was quiet. The Explorer was cool, and sporty, and it drove more like a car than a truck. And I was sold. I just didn’t have the money. Fast forward nearly 20 years. My 2009 Ford Escape is fully paid off, it’s in good shape, and I’ve driven it all over Manitoba and Ontario. But I started a new job and I needed more cargo space. I started SUV shopping. Remembering how I liked the Explorer, and since I was driving a Ford, I started there. But I also had fun looking at other vehicles. Range Rover Evoque, Volvo XC90, Toyota 4Runner, Honda Pilot, I looked at all of them. But when it came down to the total cost of ownership, the 2017 Ford Explorer won hands down. 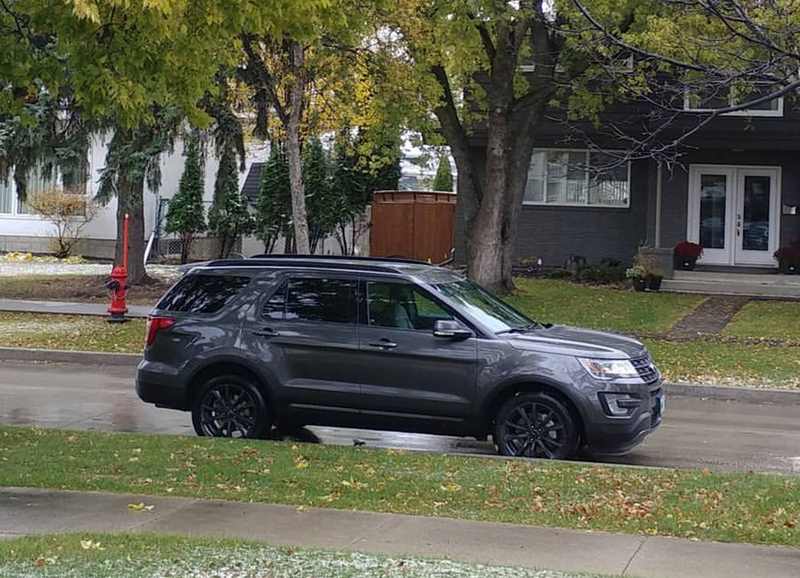 I must have built and priced the thing a hundred times, and when I traded in my 2009 Escape for my brand new 2017 Explorer XLT, I satisfied a two decade old craving. And speaking of satisfied, I remain delighted. The Explorer is quiet, has an amazing turning radius, and is everything I need and want in an SUV.